The LG V20 just became available on pre-order at US Cellular and Sprint, following Verizon, T-Mobile and AT&T’s lead and making for the Korean flagship to be available to basically any Android lover in the land of the free, home of the brave, regardless of his/her’s location or carrier. Sprint and US Cellular were the last 2 carriers out of the big five to step up to the plate and offer the LG V20 in their portfolio, but all is good when it ends good, right? You can buy the LG V20 at Sprint for $792, this is the full retail price, but don’t worry. If you choose an installment plan for 2 years, you’ll only pay $33 a month. Another option is to use a mail in rebate and pay $349 upfront via a new 24 months contract. There’s even a $200 discount with Sprint’s trade in deal, provided you already have an eligible device. If you pre-order the LG V20 from Sprint until October 28th you’ll receive a cool freebie, i.e. a Bang&Olufsen BeoPlay H3 headset from LG. 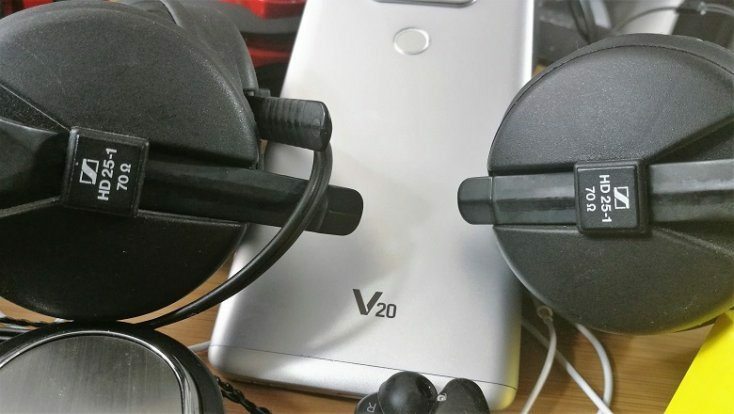 However, keep in mind that almost all US carriers are throwing in the free Bang&Olufsen headset when purchasing the LG V20, so you don’t have to opt for Sprint if you want to grab’em. At US Cellular, the V20 can be bought for $699, full price, or in monthly installments at $21.60 per month on a 30 months deal, $27 on a 24 months deal and $32.40 on a 20 months contract (monthly payments of course). Pre-ordering the G6 at US Cellular will secure you an additional $100 gift card plus the Bang&Olufsen headphones. There’s no word from US Cellular about th LG V20’s availability in stores, but Sprint has it for October 28th as previously announced. The cheapest V20 can be bought from Verizon at $672 full price, whilst AT&T charges the most, i.e. $830.